Download a sample form to request a free annual copy of your LexisNexis Prescription History Report from the LexisNexis Risk Solutions Bureau LLC. All individual consumers are entitled to an annual disclosure from LexisNexis Prescription History and to dispute inaccurate information. 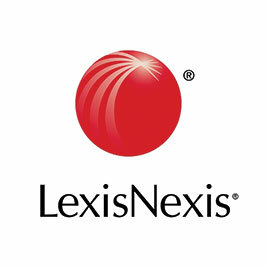 Select “Add to Cart” for a sample form to request a free annual copy of your LexisNexis RiskView Alternative Data Credit & Risk Report from the LexisNexis Risk Solutions Bureau LLC, a wholly owned subsidiary of Reed Elsevier, plc, a specialty consumer reporting agency for credit history and records (related to individual information). Download a sample form to request a free annual copy of your LexisNexis RiskView Alternative Data Credit & Risk Report from the LexisNexis Risk Solutions Bureau LLC. LexisNexis RiskView Alternative Data Credit & Risk Report is a detailed report that delivers insight on an applicant’s consumer history and financial health of a consumer to help make faster policy decisions, optimize underwriting expenses and minimize risk. RiskView Alternative Data Credit & Risk Report delivers a comprehensive view into an applicant’s consumer history and potential conditions that impact underwriting decisions. Has your application for a individual insurance recently been denied by an insurance company because of a RiskView Alternative Data Credit & Risk Report? Are you struggling to correct errors on your specialty credit report or even to obtain a free annual copy of your RiskView Alternative Data Credit & Risk Report from the LexisNexis Risk Solutions Bureau LLC? Please share your experiences in the “Reviews” tab above and we’ll do our best to help. Be the first to review “LexisNexis RiskView Alternative Data Credit & Risk Report – LexisNexis Risk Solutions Bureau” Click here to cancel reply.